Up-to-date Slovak Republic has not worked out regulations concerning cybersecurity at the strategic level. The government adopted the document “The Cybersecurity Concept of the Slovak Republic for 2015-2020” on 17th of June 2015. “The plan of actions” concept was approved on the 2nd of March 2016. Before that cybersecurity was only mentioned in the strategic documents concerning security. An important element of the cybersecurity system of Slovakia is the CSIRT (Computer Security Incident Response Team) linked to Data Centre of Ministry of Finance. This response team cooperates with its counterparts in the Visegrad courtiers, among other in the field of analysis and information exchange. A similar initiative in the Ministry of National Defence is now in the preparation phase. According to the “steps plan”, the institution coordinating the cybersecurity system of Slovakia would be the National Security Bureau (Národný bezpečnostný úrad), in which so-called national CERT/CSIRIT (cooperating with the existing at the Ministry of Finance) will be established. The Internior Ministry would be responsible for the protection of critical infrastructure. The most important challenges which the legislators are facing are, among others, the preparation of the framework of cybersecurity of public services system, creation and implementation of education system on cyber threats and the risk-management mechanisms. In the perspective of international cooperation, the most crucial will be the support of the research concerning cybersecurity. 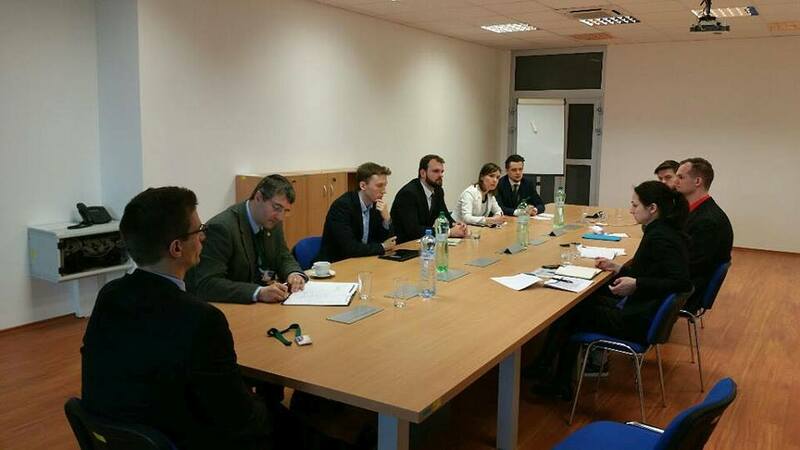 The study visit has been conducted as a part of the “Strong and secure: V4 Goes Cyber” project organised by the Slovak Security Policy Institute together with the Visegrad partners: Prage Security Studies Institute, Centre for Euro-Atlantic Integration and Democracy and the Casimir Pulaski Foundation. Two representatives of the Casimir Pulaski Foundation took part in the study visit: Kamil Gapiński (Coordinator of the Cybersecurity Program) and Monika Zborowska (Analyst of the Economy&Energy Program).